Home Trees and shrubs New South Wales and Queensland African Oil Palm Australian Fan Palm Bauhinia Coast Banksia Black Bean Curtain Fig Flamboyant Flame Of The Forrest Jacaranda Queensland Bottle Tree Queensland Kauri Rainforest tree Rattan Palm Red Cedar Saw Banksia Unknown tree Sad to say there is no way to photograph the giants in the forrest from below. It's so easy to understand why early settlers came here and cut the Red Cedar down - from their point of view it must have been incredible wealth. 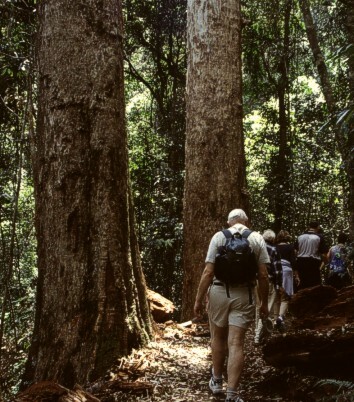 Now they're wealth again - for Lamington National Park.